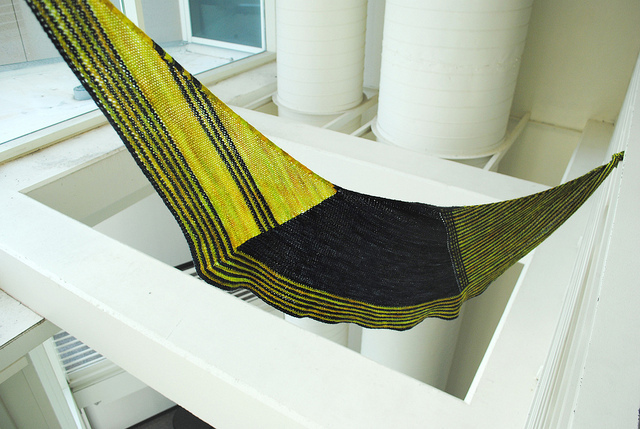 Alongside our rounds of Knit Alongs (if you’re not up on it, we are working on some lovely Ysolda Teague Knits right now, details here) I’ve been on a shawl kick as usual. I’ve said it before and I’ll say it again, summer is lace and shawl time! Although I am a big lace fan there are those out there who like a shawl that’s not too lacy, to those I say: meet Stephen West. West Knits (Stephen’s first book) is full of fabulous shawls, scarves, and hats with hardly any lace in sight. 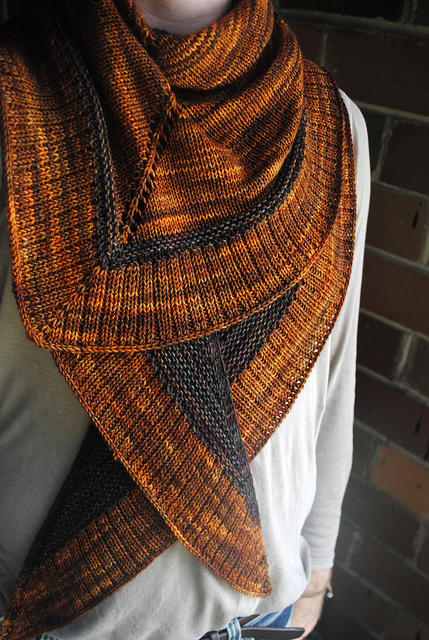 The key to a West shawl/scarf in my opinion is the contrast in colours. The wilder the contrast and colour pairings the more interesting the shawl. The sharp contrasts of shocking yellow and subtle grey, lime green and white, autumn orange and warm brown make the lovely stitches pop. If you want something more subdued a monochrome will also work, but of course I’m leaning towards the wild and crazy! The other great thing about these shawls is that they are a great opportunity to use some fantastic variegated sock yarn and pair it with a solid. Pairing a crazy variegated yarn with a solid can really change the yarn. Pairing a yarn with warm or cool tone will pull out those colours and make them appear stronger in the variegate, it’s a wonderful effect. So check out your favorite sock yarns and cast on for a West Knit today! This entry was posted on Thursday, July 28th, 2011 at 11:01 pm	and is filed under Uncategorized. You can follow any responses to this entry through the RSS 2.0 feed. Both comments and pings are currently closed. 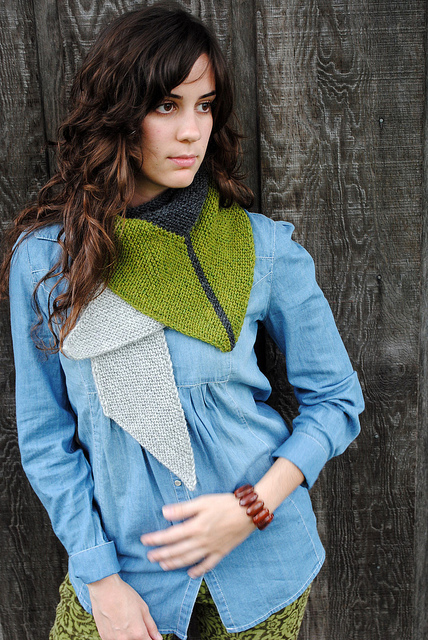 Westknits is hosting his 1st KAL starting August 1st! Check Ravelry for further details.